Home > News > Palo Alto - What’s new with PAN OS 7.1? Palo Alto - What’s new with PAN OS 7.1? Welcome to the future of security. With new innovations and enhancements across the Palo Alto Networks Next-Generation Security Platform, PAN-OS 7.1 brings even greater scalability, visibility, agility, control, and breach prevention capabilities than ever. From the smallest organisation to the largest enterprise, public or private cloud, the prevention-focused, unified security platform, simply and pervasively deployed throughout your network, scales as your business needs grow. Saas - Get visibility. Gain control. Embrace Saas. Safely enable today’s most important business applications, such as Microsoft Office 365. With extensive SaaS capabilities across the platform, you have complete visibility and reporting, instant classification, and granular enforcement across users, folders and file activities – so you can protect the data inside your applications. Prevent Breaches with Secure User Credentials - Secure your Users. Safeguard Credentials. Extend your breach prevention platform to users and applications by establishing comprehensive protection from credential theft and subsequent illicit use. With protection from phishing threats, proof of identity authentication, and precise enforcement of security policy, this comprehensive platform protects your users anywhere, anytime, on any device. 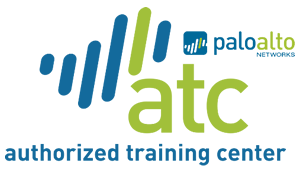 But more important to Fast Lane than all of this… both of the latest version 7 Palo Alto Certification exams are now available! At Fast Lane we have been delivering the most recently-released courses for some time, which included updates to the !PA-201 and !PA-205 courses. But you can now validate your skills on the latest version by certifying as a Palo Alto Networks Accredited Configuration Engineer (ACE7) or Palo Alto Networks Certified Network Security Engineer (PCNSE7). By attending the !PA-201 and !PA-205 courses with us you will receive the knowledge and skills, through lessons and hands on labs, to prepare for the certification exams.